Guys need some help, understand she is not FE FC but she is a close cousin, any stories to tell. Here is an entry from a serious collector that wants the model built. Does anyone see the interest in this car. It is the search for the real car that is ongoing right now, that has got me involved in this vehicle. The builder of this particular car is "alive and very well" as i visited him just two months ago, and we all went out for lunch. It was an West Aust. based car, so i think not many people this side of Australia ever saw, it even though Graeme drove it across the Nullabor. He is trying to find it, to restore it back to its former glory but has not had much success so far. I built the model back in 2009 and used his excellent memory and knowledge then to recreate it correctly, after all it no good, if its not right, even down to the correct colours of the leopard skin upholstery. unfortunately there is only a couple of photos of it, and only one coloured one, as you and i know, back then cameras were not as they are today. I have some photos of it in the middle colour, as it was repainted 3 times from Broad Meadows Green, Dark Green with iridescent added, and finally Pillar Box Red (Aust Post) 50% and White 50%, which came out bright Pink !! but Graeme was a 18yr old panel beater at that time, so easy to do and he remarked it needed painting after some trips across the Nullabor. Alex called it: Graeme Farrel's 'Goblin'. Built in 1959 in WA. would you guys be interested in this as a model. Ta Alex as usual the research king. from the guy that scratch built the model in the photo some interesting points. The photo of the Goblin is the one that turned up in our VCCA (Tas) Club newsletter, and on seeing it, i just had to build it, as I thought it was just so good. Then about a two weeks later not really knowing what the rear end was like, i contacted Graeme and told him who i was, and what i was doing. Since that day we have been great friends, and on completion of the model they took a holiday in Tassie, and came and viewed the finished article. On seeing the model he said to me "i feel like i could get in and just drive away". That was good enough for me. That is the best photo he has even though it is black and white, and i think from memory it was Pink with the whitewalls in that photo. 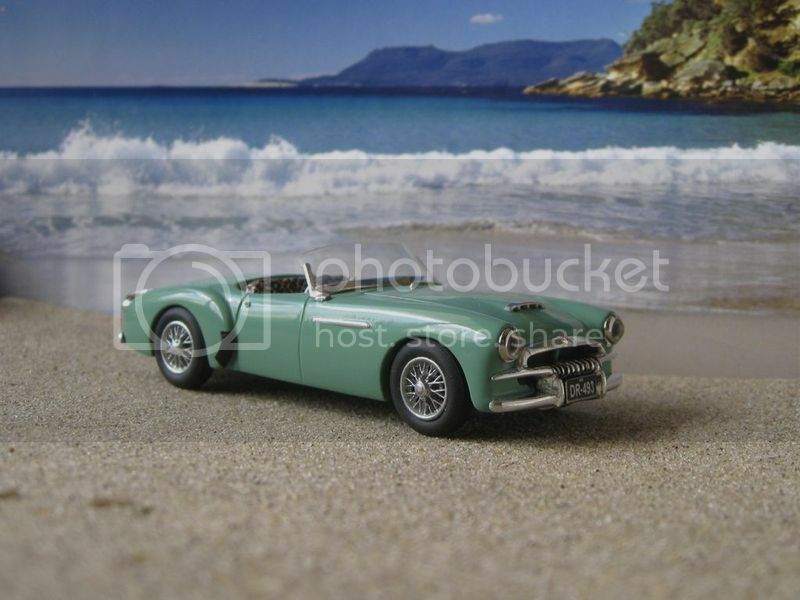 My colour photo is the 48-215 Holden Dark Green, which i have the name of written down in my modelling files somewhere. 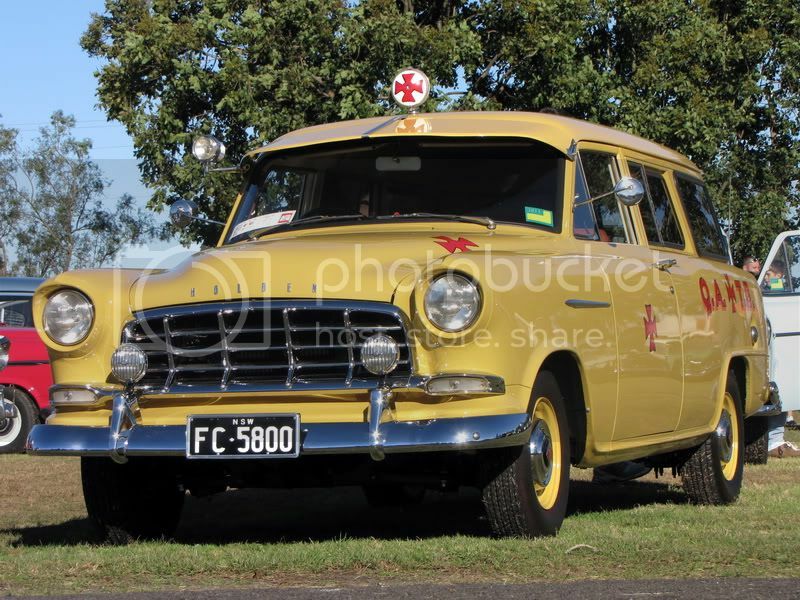 As an FE-FC man you would recognise the Windscreen (FC Rear Window), FC Standard Chrome strip, and Grille Badge that he used.